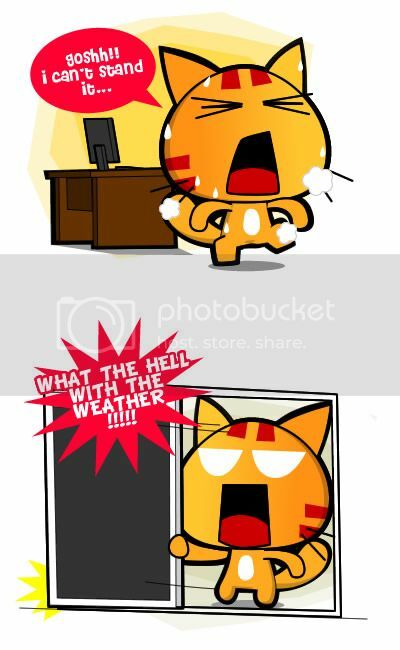 Miao & WafuPafu Comic Blog » Hot ching!! Maybe I should move my table and bed outside. Posted on July 28, 2011 by Jian Akiraceo. 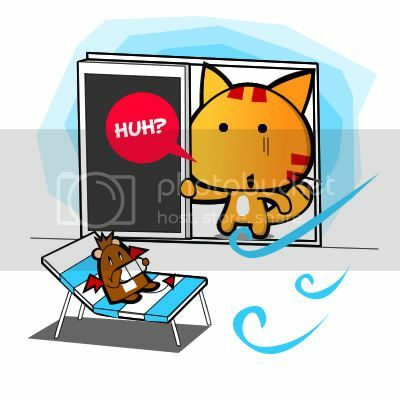 This entry was posted in Rant and tagged hot weather, miao, wafupafu. Bookmark the permalink. my house is quite not hot an not cold coz my house got sheltered by a giant tree beside my house…. oh my.. what if the power broke down at your area? Yeah my friend’s place also, the whole room like sauna ching! u need to keep ur windows open so there’s ventilation. else heat would be trapped inside the room and its bad for health too. Its opened. just the heat tends to trapped in my room. Once i got in my room, it tends to stay there, even I have my door opened. Is your room facing west? 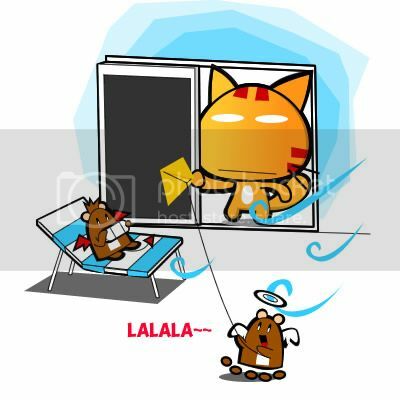 you should sometimes open the windows, need to balance the inner air with the outer. . .
the same thing happened in my hostel room. >.